One of the three "cold boxes" destined for ITER's liquid helium plant will bear, inscribed on its wall, an unexpected signature: that of François Hollande, President of the French Republic. 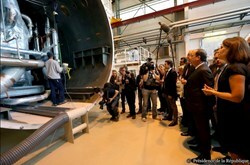 Manufactured by the Italian firm SIMIC, the cylindrical vessels (21 metres long, 4.2 metres in diameter) are currently being equipped with internal components such as heat exchangers, cryogenic adsorbers, liquid helium and liquid nitrogen phase separators at the Air Liquide factory in Sassenage, near Grenoble, France. 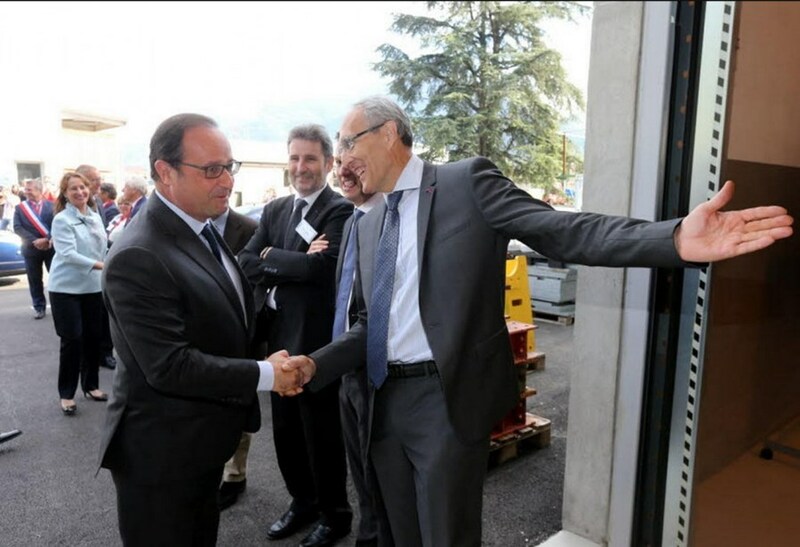 And it's the Air Liquide factory that the French President had chosen, last Thursday 20 August, to showcase his environmental policy in advance of the United Nations COP 21 climate conference to be held in Paris from 30 November to 11 December 2015. 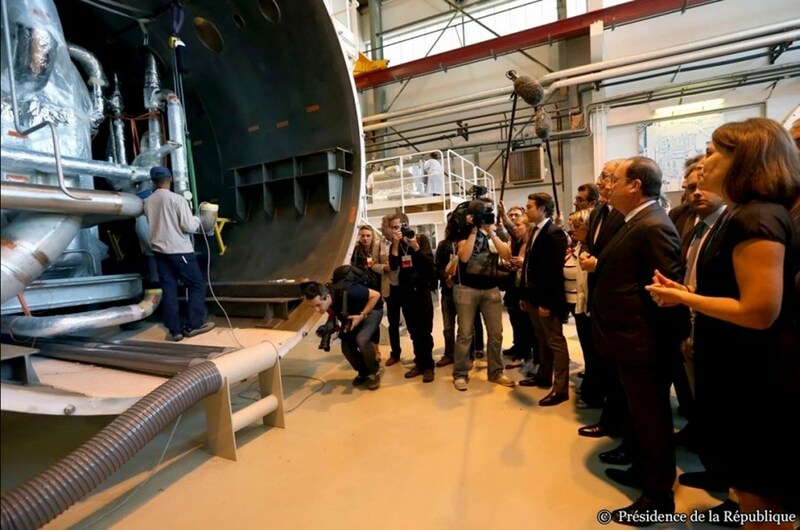 "What we're about to see in this factory are some particularly enlightening demonstrations on potential new energy sources, or energy savings," said the French President. Prominent among these "new energy sources" was fusion, in the form of the three giant tanks in different stages of completion in the great hall of the Air Liquide factory.